How do the presidential candidates’ tax proposals compare? 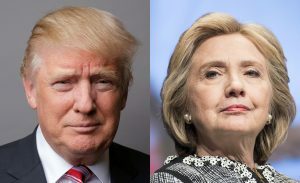 WASHINGTON — In this unconventional campaign season, Donald Trump and Hillary Clinton have produced two conventional tax plans that mostly track their parties’ long-standing views. Trump is pushing a plan squarely in the GOP tradition of sharp tax cuts for individuals and businesses, which most analyses conclude would largely benefit wealthier Americans. That’s in contrast with other issues such as international trade, where he has jettisoned decades of GOP orthodoxy and taken a more populist stance. Clinton, meanwhile, is proposing to raise taxes for the wealthiest households to pay for traditional Democratic proposals such as expanding access to higher education. “Here, at least, they fall into very much traditional Democratic and Republican proposals,” said William Gale, co-director of the Tax Policy Center, a joint project of the Brookings Institution and Urban Institute. Taxes are emerging as the biggest difference between the two candidates, at least when it comes to economic policy. Clinton has backed off her previous support for free trade agreements, and like Trump, now opposes the Trans-Pacific Partnership, or TPP, a trade deal involving the United States and 13 Pacific Rim nations. Trump, for his part, has proposed spending twice as much as Clinton on building and repairing airports, roads, tunnels and other infrastructure. That’s a departure from recent GOP opposition to proposals by President Obama to increase spending on infrastructure. TRUMP: He would cut the top income tax bracket to 33 percent from its current level of 39.6 percent. Republican House Speaker Paul Ryan has made the same proposal, which the conservative Tax Foundation said would help boost after-tax income for the wealthiest 1 percent of Americans by 5.3 percent. Trump updated his tax proposal in a speech last week in Detroit, and plans to release details in the coming weeks. Tax experts haven’t been able to evaluate many of his proposals as a result. CLINTON: She has proposed several tax increases on wealthier Americans, including a 4 percent surcharge on incomes above $5 million, effectively creating a new top bracket of 43.6 percent. And those earning more than $1 million a year would be subject to a minimum 30 percent tax rate. She would also cap the value of many tax deductions for wealthier taxpayers. The changes would increase taxes in 2017 for the richest 1 percent by $78,284, reducing their after-tax income by 5 percent, according to the Tax Policy Center. TRUMP: Would reduce the seven tax brackets in current law to just three, at 12 percent, 25 percent and 33 percent. Using the Tax Foundation’s evaluation of the House Republican plan, which includes the same brackets, the change would lift after-tax incomes for the bottom 80 percent of income earners — those earning less than about $195,000 a year — by 0.2 percent to 0.5 percent. CLINTON: Says she will not raise taxes on the middle class. Her current proposals would have little impact on the bottom 95 percent of taxpayers, according to the Tax Policy Center. TRUMP: Would cut the corporate rate from its current 35 percent to 15 percent. He would also cut taxes on “pass-through” business income from partnerships such as law firms to 15 percent. More than two-thirds of “pass-through” income flows to the richest 1 percent of taxpayers, according to the liberal Center on Budget and Policy Priorities. CLINTON: Would not change the corporate tax rate. TRUMP: Managers for private equity firms and hedge funds can classify their investment profits as “carried interest” and pay capital gains taxes on their income. That typically allows them to pay much lower tax rates than middle-income taxpayers. Trump says he would eliminate the loophole, but hedge fund and private equity managers would likely pay even lower tax rates under his proposal to cut business taxes to just 15 percent. CLINTON: Would eliminate the loophole and tax carried interest as ordinary income. PBS NewsHour co-anchor Judy Woodruff speaks with Neil Irwin of the The New York Times and David Wessel of the Brookings Institution about the candidates’ tax plans. TRUMP: Would eliminate the so-called “death tax” on large estates that is currently levied on estates worth more than $5.45 million ($10.9 million for married couples). CLINTON: Would increase the estate tax to 45 percent from 40 percent and apply it to more estates, starting with those worth $3.5 million ($7 million for married couples). TRUMP: Says his steep cut in the corporate tax rate would end the practice of corporate “inversions,” which occur when a U.S. company acquires a foreign corporation, then relocates overseas, to avoid paying U.S. corporate taxes. The U.S. corporate tax rate of 35 percent is the highest in the developed world, though many companies use deductions and other strategies to avoid paying that amount. CLINTON: Would discourage inversions by making it harder for a U.S. company to classify itself as a foreign-owned to avoid U.S. taxation. She would also place an “exit tax” on companies that leave the U.S. while still keeping earnings overseas that haven’t been subject to U.S. tax. TRUMP: Wants to make all child care costs tax-deductible. Would allow the deduction to apply to Social Security and Medicare taxes to benefit lower-income earners who pay little or no income tax. Current law allows parents to deduct up to $6,000 in child care expenses. CLINTON: Has made several proposals intended to help limit child care expenses to 10 percent of a family’s income, but has made no specific mention of using the tax code to achieve that goal. TRUMP: Would allow taxpayers to deduct child care costs from Social Security and Medicare taxes. CLINTON: Says she will ask the wealthiest to “contribute more” to Social Security, by raising the cap on income currently subject to Social Security taxes, but has not released any details. ISSUES MATTER: Where do the presidential candidates stand on health care?